Yvette Mayorga is an interdisciplinary artist and educator. 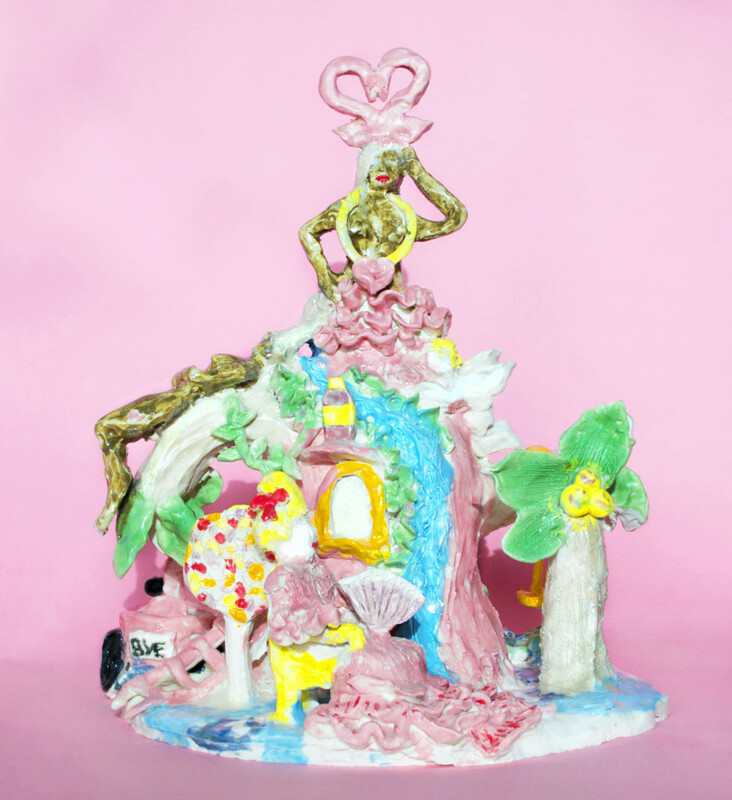 She uses confection, industrial materials, and the American board game Candy Land as a conceptual framework to juxtapose the borderlands of the U.S. and Mexico. The spaces in the “Candy Lands” of her work relate to immigrant utopian visions of the American Dream. The smell, decoration, and personal photographs in her work serve to critique the glut of violence at the border. Mayorga has presented her work among the Chicago Imagists in New York and in the past at The Vincent Price Art Museum, the School of the Art Institute of Chicago, EXPO, LACMA’s Pacific Standard Time, The Chicago Cultural Center, The National Museum of Mexican Art, University of Indianapolis, The Arts Incubator, Roots and Culture, Weinberg/Newton, Gallery 400, Ukraine Institute of Modern Art, & Lubeznik Center. For more information, please visit yvettemayorga.com. This exhibition has been organized in partnership with ACRE – Artists’ Cooperative Residency and Exhibitions in Chicago, Illinois and Steuben, Wisconsin.